Hello. I am Janice Person or as many know me JPlovesCOTTON but the truth is I love life — especially travel and people. 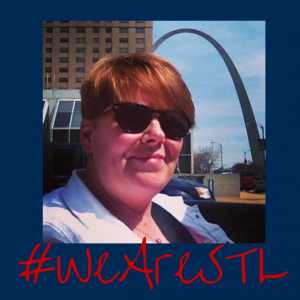 And with this post (and video below that was recorded last night as I arrived at St. Louis’ Lambert Airport) I am joining the #WeAreSTL efforts started by my friend and fellow blogger Katie McFarland of Mom’s Little Running Buddies (thanks for the We are STL logo at right). And although I shot the video earlier… I hope I am a bit more well-spoke here in text. For me, I got a zest for the different as a kid growing up in the city of Memphis. My family and friends have always been a diverse lot. I’m not sure how I got such a passion for travel (especially since my sister and I suffered from motion sickness as children) but it probably had something to do with a few key experiences growing up where I was able to travel and meet people who had defined differences with me and yet who I found deep connections with. Maybe some of that is why I also feel so at home in my adopted city of St. Louis… even as this city, county and in fact many across our nation look at events unfolding and question what’s happening. I never imagined that I would be here today…. and I have to admit that I never thought of that as being in the Midwest but St. Louis provides immense opportunities alongside the challenges we face. I have met people who were born and raised in this city and who can’t imagine living anywhere else. I have met people born in rural townships half a world away who’s parents had likely never heard of Missouri til years after their kids were born. I have friends who have grown up in Ferguson, a town that I have visited several times in the past few months and found people I really identify with while there. And with all the news coverage, I think some people may want not realize we share a lot of common ground with most cities and have differences to celebrate as well! In St. Louis, you can meet people who are from a deep Catholic upbringing and who have had an audience with the Pope when he visited years ago and you can meet people who question the very existence of God but would give a stranger the coat they are wearing. If you either have kids along or simply want to friend the child out in yourself, you can head to the City Museum, a place that is so awesome it would make Willy Wonka giggle with glee! You can explore the city’s history at the history museum or through collecting photos with the 250+ birthday cakes that are scattered around to celebrate the 250 years of our city. You can meet famous chefs as well as people who are growing the food the rest of us eat as we hold celebrations. You can eat a meal of rich Italian pastas in the Hill or get your Southern on at Sweetie Pies. 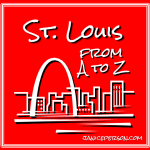 Since moving to St. Louis three years ago, I have continued expanding my world view. 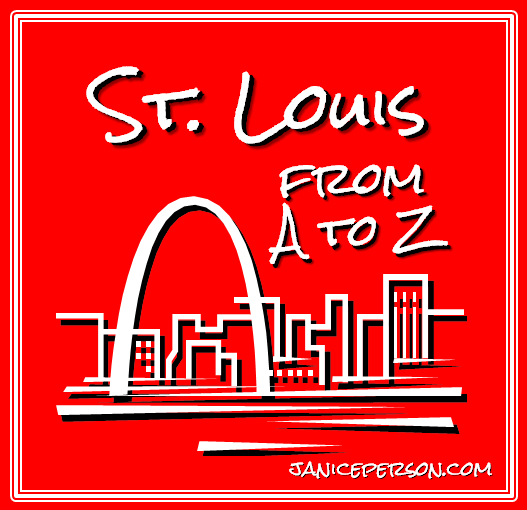 I found the place so interesting that I began an A to Z on St. Louis earlier this year and I really need to finish up the last few letters! But I encourage you to browse through the bulk of it! You can meet people who challenge ourselves to become better as they ask tough questions about why…..
You see a city that is different from all others and yet shares so many similarities. 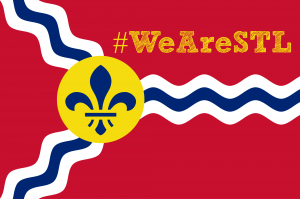 We are St. Louis. 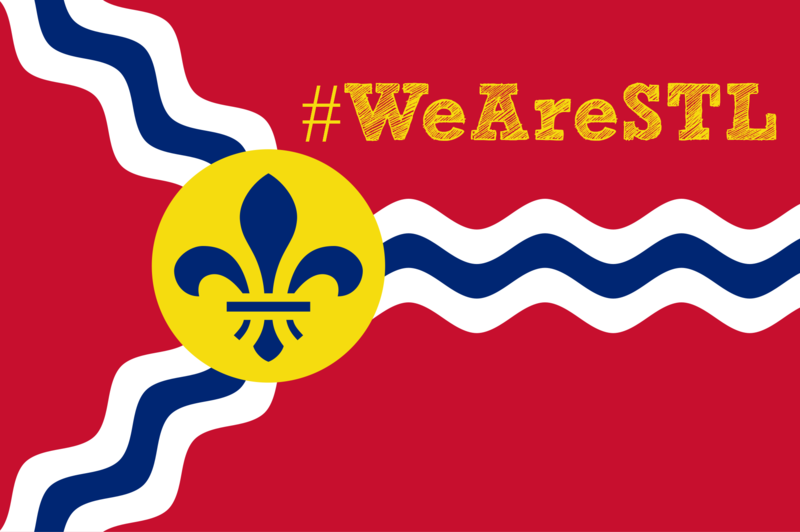 We encourage our neighbors to join us in the #WeAreSTL effort on social media to help tell the city’s story. Beautiful post! I was born here and lived here my whole life. I love it. Happy you have made it your home, too. you are a good example of world-citizen. Thanks Neisan… And thanks for being one of the first folks to give me a touchstone in the Middle East. I have lots to learn but have learned lots too! Ms Janice I knew you were a special person when I met you. Your zest for people and life is very refreshing. Keep raising the bar. Thanks Leroy! I hope you are having an incredible holiday! Great post, as usual, JP. Let’s get that lunch in Ferguson soon. Sounds good! Shoot me an email and we will find a day.